Minutes to downtown Boulder, hiking & biking. Views. Remodel, custom floating hardwood staircase and unique chandelier. Meticulously maintained, gorgeous wood floors. 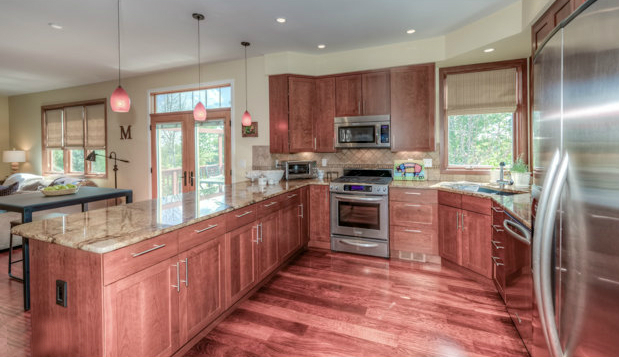 Completely renovated kitchen exotic slab granite, custom, cherry cabinets, SS appliances. Open floor plan. Cozy with a contemporary flair. New gas fireplace. Main floor bedroom with 3/4 bath or may be used as office or study. Full unfinished, daylight basement has high ceilings. New furnace, central air conditioning & humidifier.